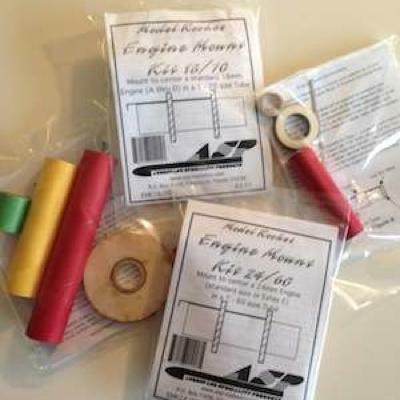 Model Rocket Engine Mount Kit that centers an 29mm Engine inside a T-80 or T-2.6 Tube. Includes spiral wound engine block, engine spacer, plywood centering rings, engine mount tube and full instructions. This kit does not include hooks, so use this kit if you want to add a screw-on retainer (such as Estes Pro Series II™ 29 mm Motor Retainer Set or similar) or friction-fit your engine. 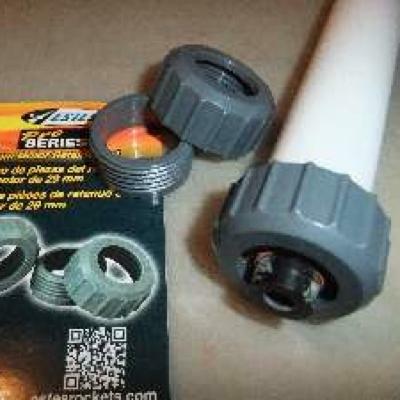 Screw-on retainer is not included and should be ordered separately if you want to add to the mount.